A few years ago I was your standard ‘always use treats for training rewards’ kind of gal. It wasn’t until I started experimenting with different rewards that I realized how boring my training had become. Do you want to sit? “Good girl.” Here’s a treat. Imagine that same scenario over and over again times infinity. Gets a bit dull and predictable doesn’t it? 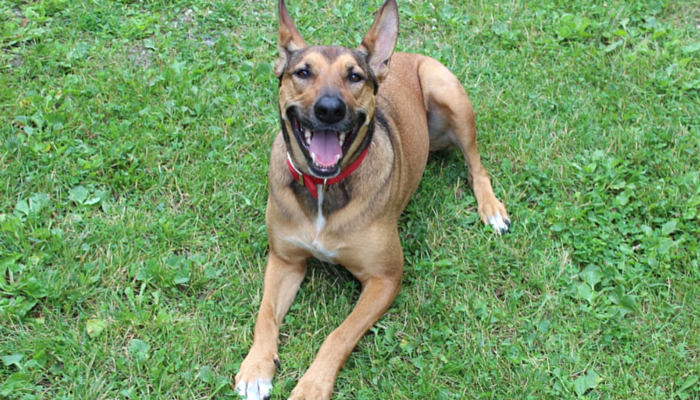 I wouldn’t work 8 hours a day for kibble, but I’d be willing to jump through a hula hoop for a slice of coffee cake. Different behaviors call for different rewards, and when it comes to working with Laika I have yet to find any one size fits all training rewards. Instead of dangling yummy treats in front of my dog while training I started to improvise, sometimes with nothing but a whole lotta praise as the reward. Our dogs are smart, they know when you’re getting ready for a training session. What do you do every time you train? Do you grab a clicker and treats? Whatever your preparations are your dog has caught on. As soon as they see that clicker they know what time it is. 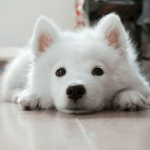 Once I started practicing new behaviors “on the fly” without all that prep I noticed something amazing – my dog was usually doing just as well. While I still use a clicker and treats for trick training I’ve started using a bunch of other rewards as well. It took some trial and error to figure out what really motivated Laika, but once I learned to improvise it got much easier. Here’s a few examples that worked brilliantly for Laika. After I realized that Laika loved interactive play more than anything else I started to use that when working on our recall. She preferred to keep on exploring rather than coming back for a treat. But when I switched that doggie treat for one of her toys she couldn’t resist. And I was happy to oblige, getting a dog to come back to you when there’s so many things to see and smell is tough, so the reward needed to awesome. Even through her adolescent years if I gave the appearance of being on the verge of having fun she’d come running back. After being rewarded with a short game of tug rather than a treat she decided that coming when called leads to fun. And to Laika fun games are a priority. Next time you’re house training a puppy treat every pee outside like the best that’s ever happened. Make that puppy feel like that poop is the best thing she could have bestowed upon this earth. Praise enthusiastically, let her know she’s made the best decision ever. Is that weird? A little, but it works. After celebrating each pee and poop so enthusiastically I started to get a little weirded out and embarrassed. Laika was getting it which was amazing, but she started staring intensely at me the entire time she was going – looking so damn proud. I had no choice but to smile right back, and when she was done praise like the dickens. I remember when my boyfriend would take her out he’d come in and say “you’re dog is weird – she just stares at me the whole time with a weird grin.” Yes she did, and awkwardly enough sometimes she still does. As weird as that process was it worked, and it worked quickly. After a few days she was almost 100% potty trained. When we’re out on park trails I bring a tug toy along. Most of the time it’s enticing enough to stop Laika from fixating on that squirrel or weird guy on a bike & pay attention to me. Who doesn’t love a good ole game of tug in the middle of the woods anyway? If your dog isn’t play motivated try using some different food rewards. A piece of meat or some cheese will probably be a lot more enticing to your dog if they’re used to the same old training treats. 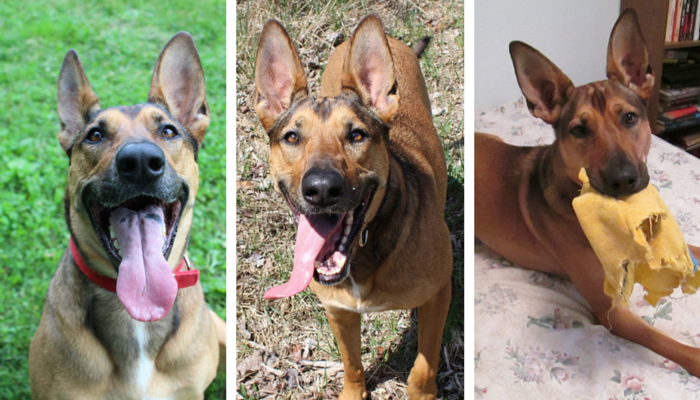 Training rewards come in many shapes and sizes, find out what motivates your dog & go with it. Some dogs are extremely food motivated, while others thrive on play. When it comes to something like house training a whole lot of praise goes a long way. To keep training sessions from becoming boring and predictable switch up the rewards. 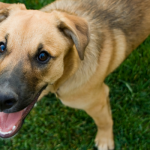 Find out what works for your dog and what doesn’t. It’s an awesome way to find out what motivates them, and it certainly keeps things interesting. Coming up with new rewards has been a real learning experience. It’s opened up so many more possibilities of training in any situation, even if I don’t have a clicker or treats on hand. I’m far from perfect when it comes to dog training, but at least I’m having fun and not boring Laika to tears as we learn these things together. Do you switch up your training rewards? 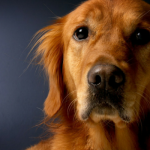 What really motivates your dog? This post is part of the Positive Reinforcement Pet Training Week blog hop hosted by Cascadian Nomads, Rubicon Days, and Tenacious Little Terrier. Join in on the first Monday of each month to help share your positive training advice and experiences. 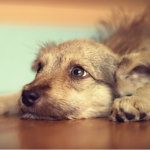 This month’s theme is sharing our dog training mistakes, join us and share some of yours. 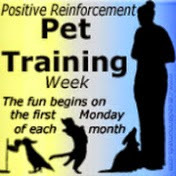 Next months Positive Reinforcement Pet Training Week begins August 3rd and the theme will be improving our pet training skills. I’m really bad about switching up my rewards. I tend to lean towards, the food works, I’ll stick with it method. Although sometimes if it’s not the right time to reach for a treat (like Sampson is doing his ‘business’) then I will pet and praise Delilah and offer the treat after. Sometimes I just praise and don’t offer it at all, but mostly it’s treats. I’m glad you found something that works for Laika! That’s hilarious about Laika staring at you as she goes potty. House training was a cinch with my girls using the same method! I wish that Ruby was interested in toys outside – the world is just so much more exciting than toys OR treats. Thanks so much for joining the hop and for these great reminders. Great post!! I love using games for training we don’t always use food, Phoenix loves to work for toys, too! One way I make food more exciting is by tossing it. The dogs love chasing after food! Keeping things interesting definitely makes a difference!!! I try to switch up rewards but Kilo is food obsessed. He had lots of toilet “accidents” up until recently so I do the same as you LOL. It has worked so well. He now pees and poops almost on command and rarely goes inside. Recall is still a big challenge. I did hear lying down and pretending you’ll play can work. Such a great post! My brother tried training his dog for recall, but some people just don’t have the chops. I constantly encourage him to be the wackiest and most exciting thing, but he gets embarrassed so easily. Now his dog remains on leash. Great article! Even when training and playing with cats [who tend to take a little longer to catch on to something new than dogs]…. it’s a good idea to switch it up once they’ve mastered whatever “it” is. Variety is the spice of life for both humans and pets. We do potty training the same way you do. We make their business the greatest thing ever and praise well beyond puppy-hood. Lucky for us and field training, the retrieve is the reward so that makes it easy. What a cute pup! I’ve definitely noticed that while food rewards work, they’re really best combined with toys and praise. Thanks for joining the hop! I use food most often but I will also use a toy sometimes and “life rewards” like getting to chase the squirrel. It’s a cool idea to use different methods of motivation for different types of situations. When I was growing up, we had a puppy, and we would also praise him like crazy whenever he went potty. Yeah, it does seem a little strange, but it definitely worked! I love this post. It is so true. We use treats of all different value. Charlie’s recall is fantastic because he LOVES frisbee. Its all about being creative. When they are doing something wrong it usually because I am not switching things up whatever else he would rather be doing is more rewarding! Great advice! Training is difficult and complicated. We have to be able to adjust as pet parents! Great tips. Looking at the pictures, that doesn’t look like a bored dog to me! What a cutie. Wonderful post, I love the idea of changing it up like this!